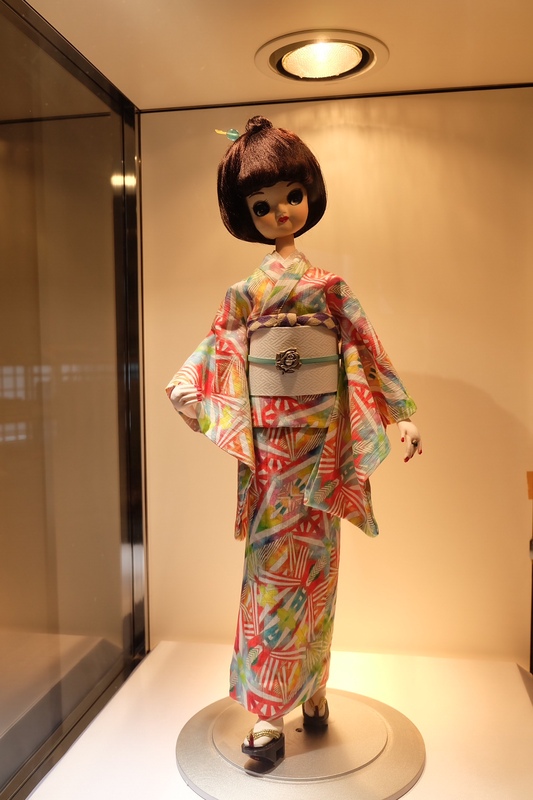 international Wabijin – ページ 3 – One of my hobbies is "kimono". How do you like it? 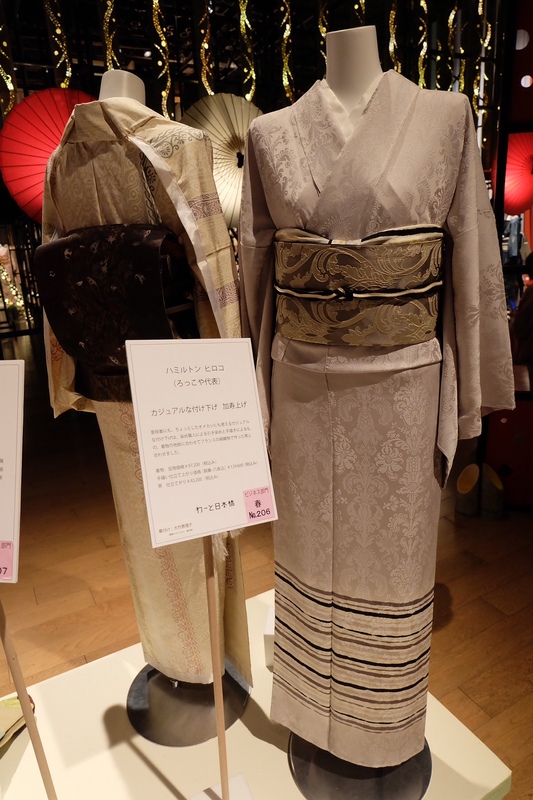 For women’s kimono, kitake (dress length) is generally adjusted by folding the cloth at the waist, this is because mitake (length of clothing) is longer than kitake, unlike Western clothing. The folding part of the cloths is called “Ohashori”. The history of Ohashori started around 150 years ago during the Meiji Era. In the old days, cloths were quite valuable in Japan. Some upper classes wore a kimono with a long hem in order to show they were rich enough to afford a lot of valuable cloths. Then, they would walk trailing the hem whilst indoors and holding it up outdoors by tying an obi. It is said that the folding of the obi has been simplified and has formed the current Ohashori. Nowadays, we do not have to advertise our wealth by Ohashori. Still, there are two important roles of practicing it. One role is the visual effect that the upper and the lower parts of the body balance each other well by the Ohashori line. 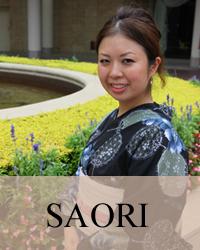 The other is the flexibility to be able to wear a kimono beautifully and comfortably by adjusting Ohashori according to changes in body shape. As a small child gets taller, for example, they can wear a kimono of appropriate length adjusted by the parent. Even an elderly person whom is bent at the waist and has a protruding abdomen can wear kimono by adjusting Ohashori in line with the body shape. 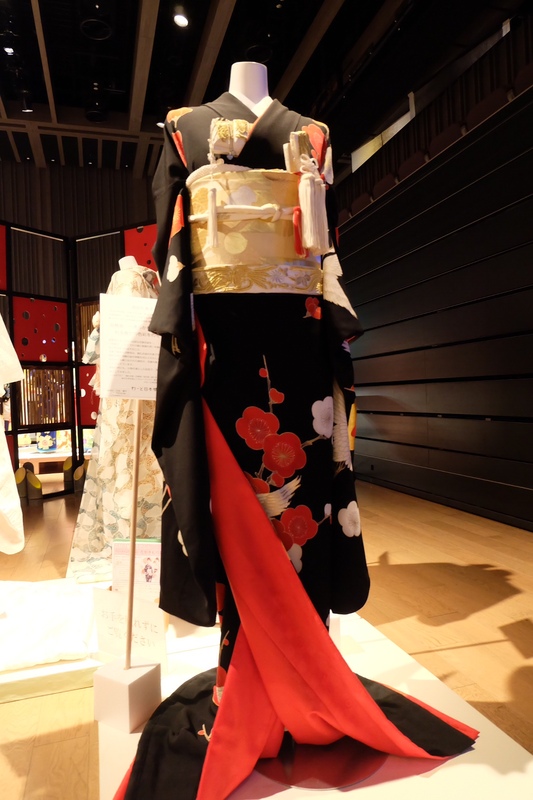 When a kimono is passed down from a mother to a daughter or from an elder to a younger sister, Ohashori can be adjusted according to the height of the person who wears it. 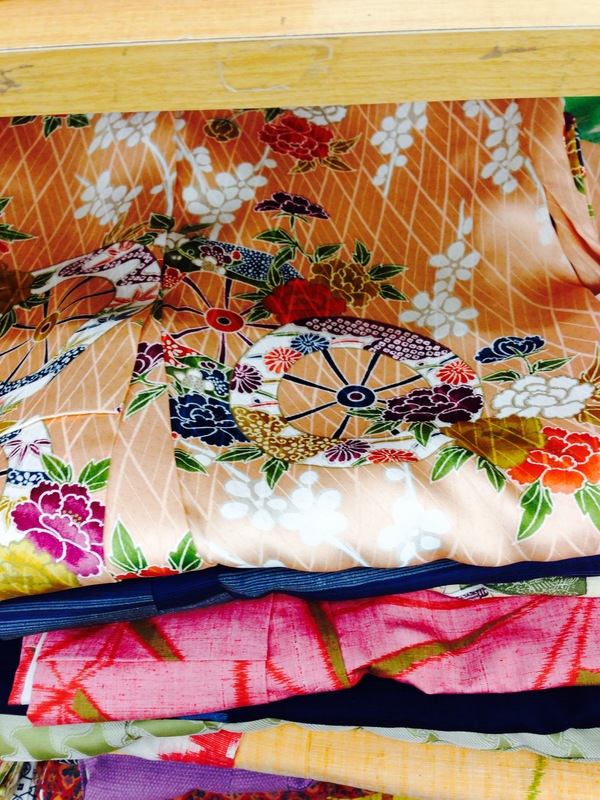 Additionally, if one’s favorite kimono wears out, it has enough cloth to make adjustments. 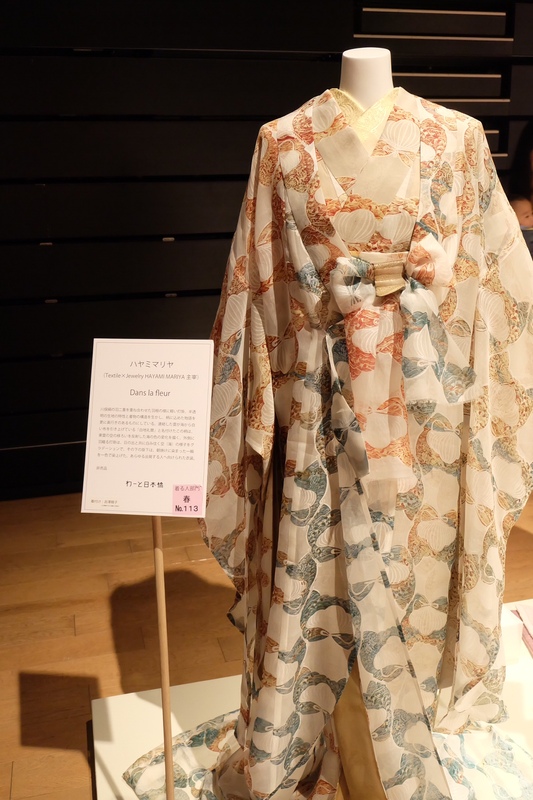 Thus, Ohashori play a role in telling the importance of passing on kimono to be worn by future generations. 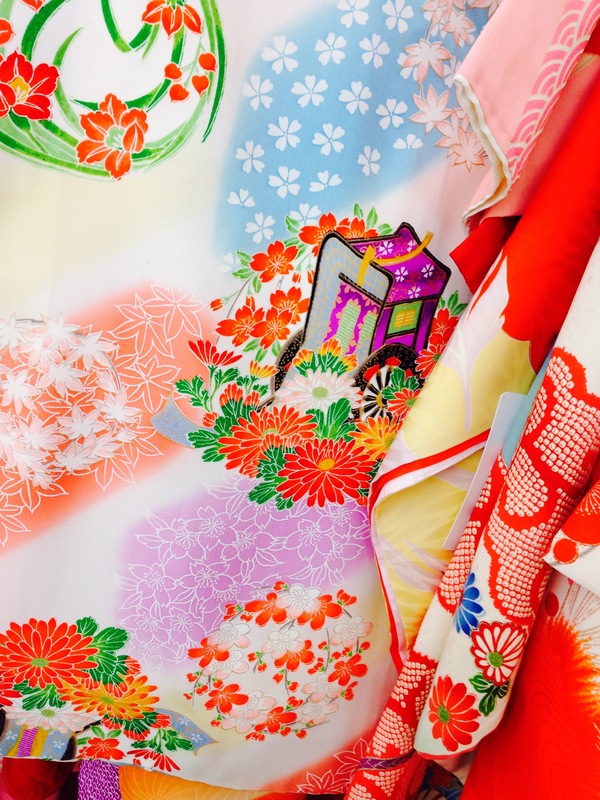 When it comes to ”Kimono”, we, Japanese, have the perception that Kimono is not just something to wear but also something special to polish our mind through even the process of dressing. 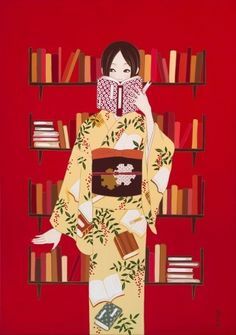 Affecting to one’s mind by dressing a kimono is a really deep world because it can’t be seen, and even not easy to understand what it is like just by reading a book. 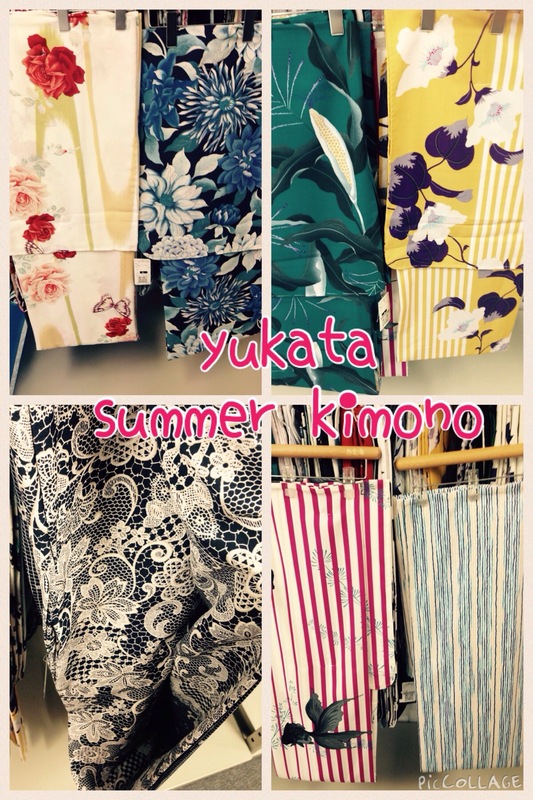 That’s why there are so many kimono dressing(kitsuke) school here. Their main purpose is to teach dressing techniques but show the deep world as well. Learners then understand a little by little after receiving explanation from a kimono teacher at a dressing school. For example, at just one movement when you put your arm through kimono’s sleeve, there is a tiny thing to be aware of. If you are very sensitive each single movement, you can enjoy more and more this deep world from the heart and heightening your sensitivity. Those sensitive feeling might be messages to modern people from our predecessors who coexisted with nature and have cherished to feel in the five senses through kimono. 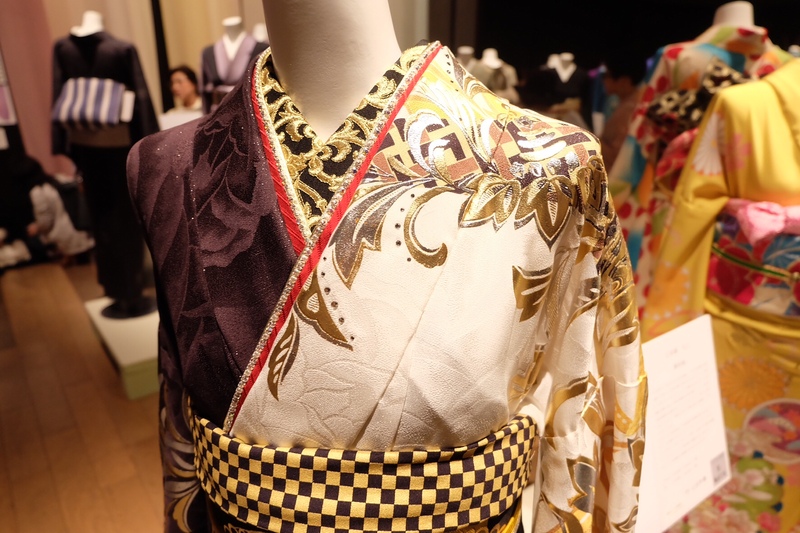 People are fall in love with kimono including those history. 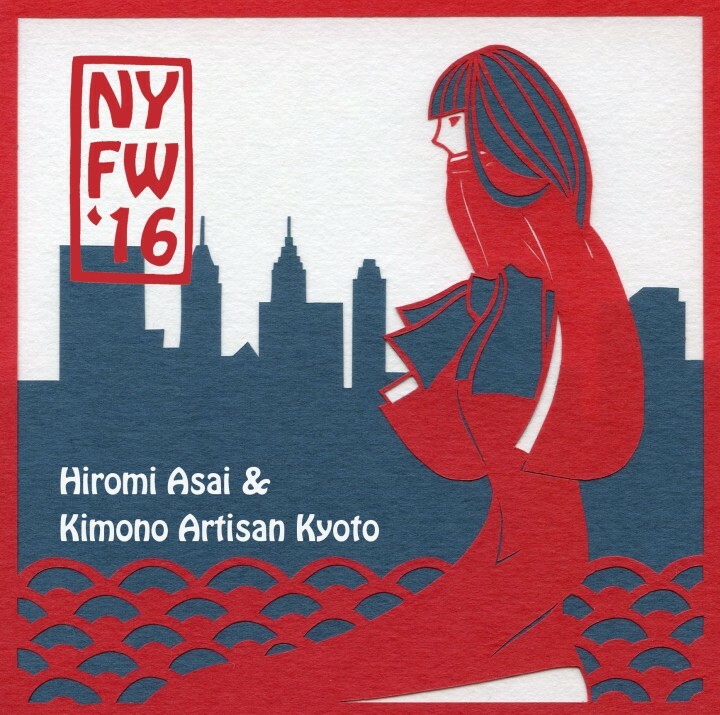 Check out Asahi Sasaki’s Youtube kimono fashion world!! If you love Youtube, you may know her work already. Let me introduce one of Japanese famous Youtuber, Asahi Sasaki. She’s a makeup artist and produces lots of video of how to make up on Youtube. She launched new project recently and released her great work showing fashion kimono with traditional taste with other unique Youtubers. I would like to share some of photos. 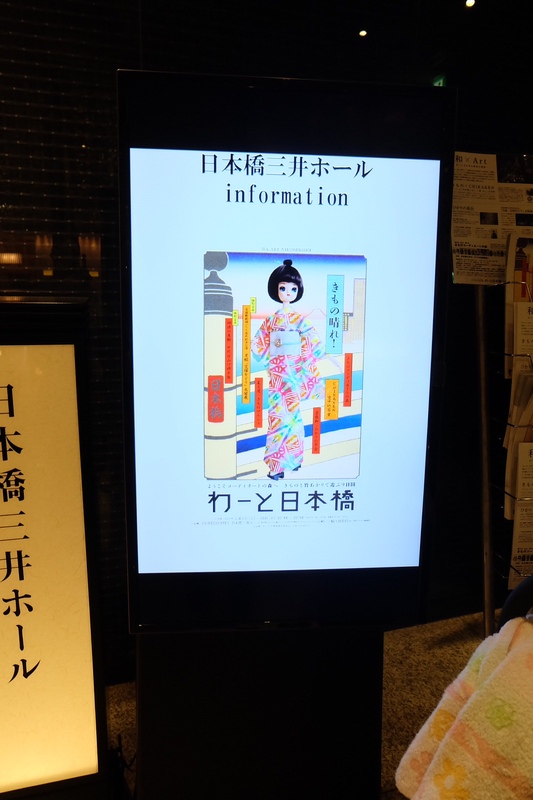 It is usually said that the size of kimono are smaller for even us, Japanese (We are getting taller!) but this brand covers not only regular size but LL, 3L and even “size O”! I love the 3rd one, lace yukata, but how about you? Hello! Thank for waiting:) Here’s other kimono collections from WA-ART. 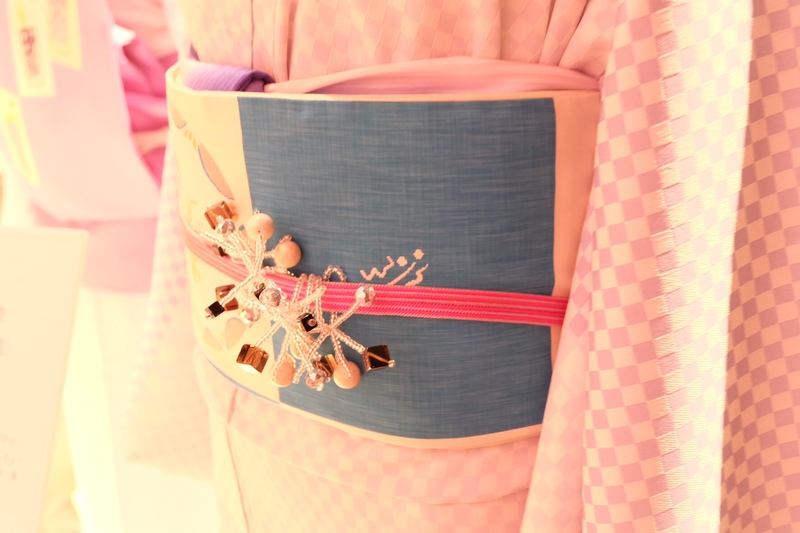 This is a wedding kimono for bride. This is more like party style and you see unsymmetrical color and design. If you love to be uniques, why don’t you try those kind of style? 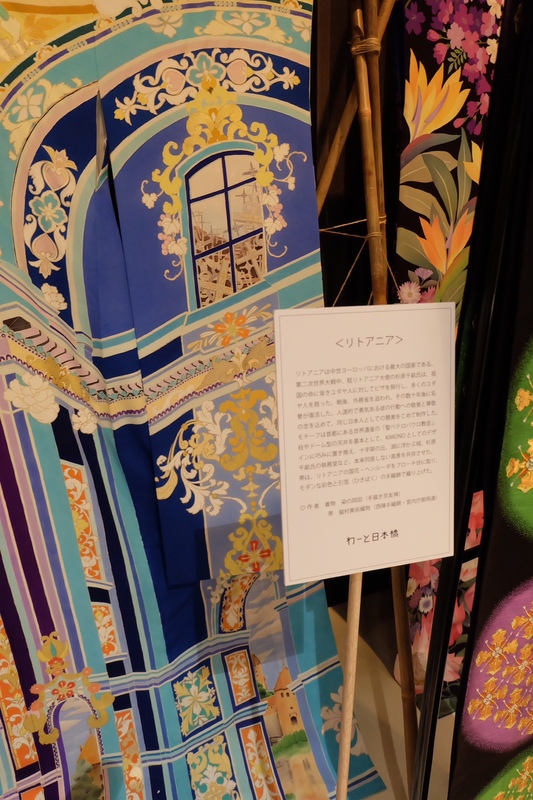 This is from KIMONO WORLD PROJECT for Olympics 2020 in Tokyo. 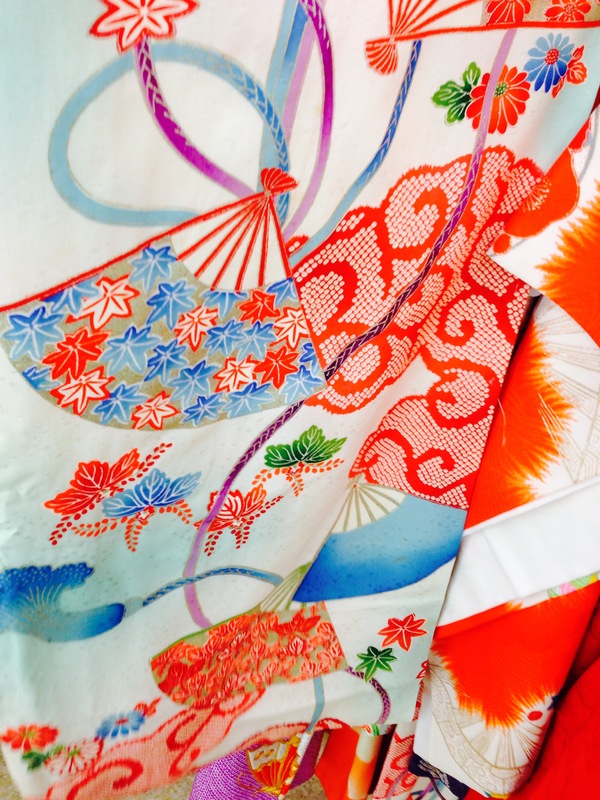 The theme of the project is 10 countries and this kimono is from Lithuania. You will see some color pattern difference from the one below, Japanese traditional style. I like both but how about you? Hope you find this interesting and wait for the next post! 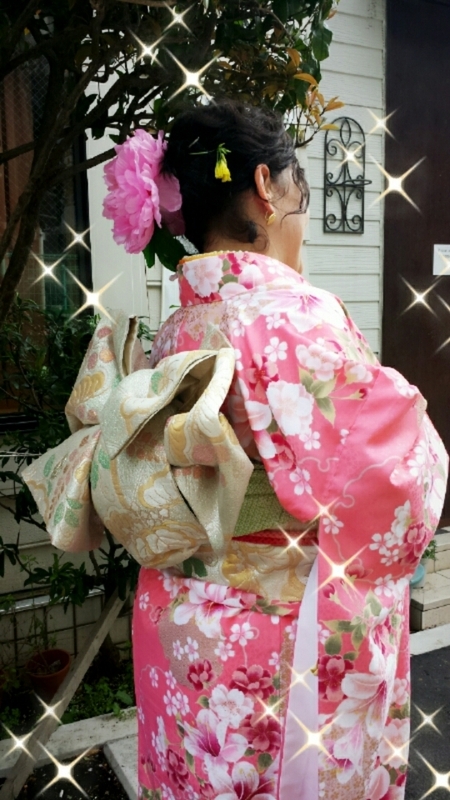 To tell you the truth, I became a kimono dresser because I wanted to get dress kimono to people overseas! Also I would like to study overseas, then started learning my own culture. I have been participating volunteer kimono dressing to people from various countries such as USA, Singapore, Malaysia, Philippine, China, Congo, Thailand, France, Syria, Honduras, Australia, Vietnam, Bulgaria etc. I have also visited Vietnam and Mexico for kimono dressing. She was really beautiful!! Kimono is Japanese traditional clothe but anyone from other countries dress exquisitely!! !I feel always happy to see their smile! 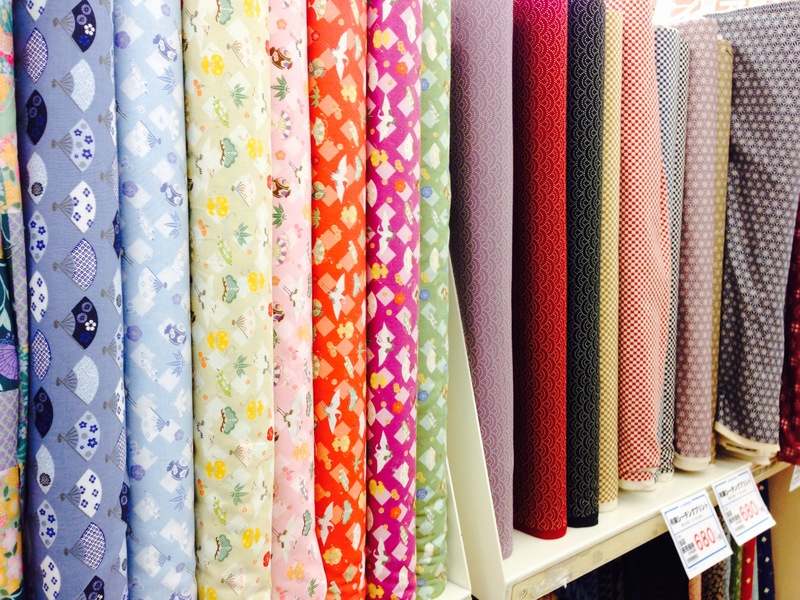 I visited a craft shop & a secondhand kimono shop with Saori, our kimono coordinator:) She was looking for some materials for handmade haneri. 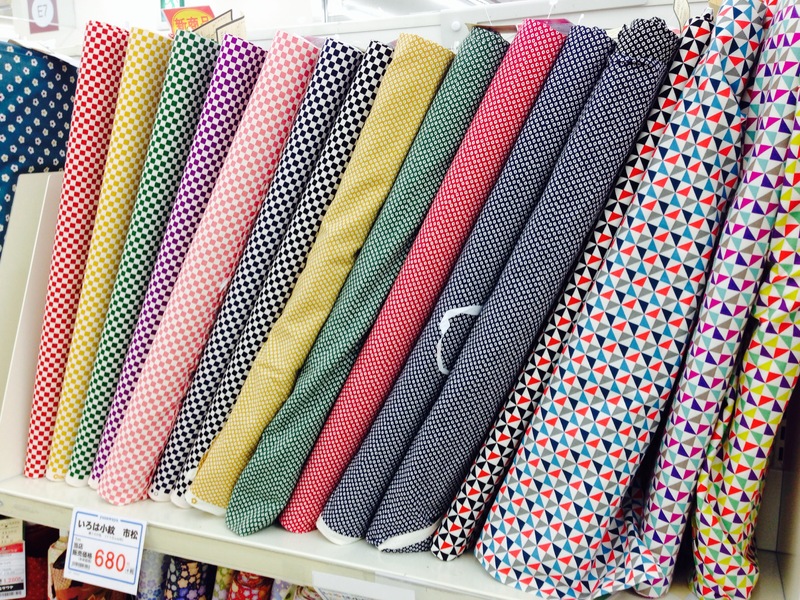 This craft shop has a good selection of products, fond some kimono clothes as well. 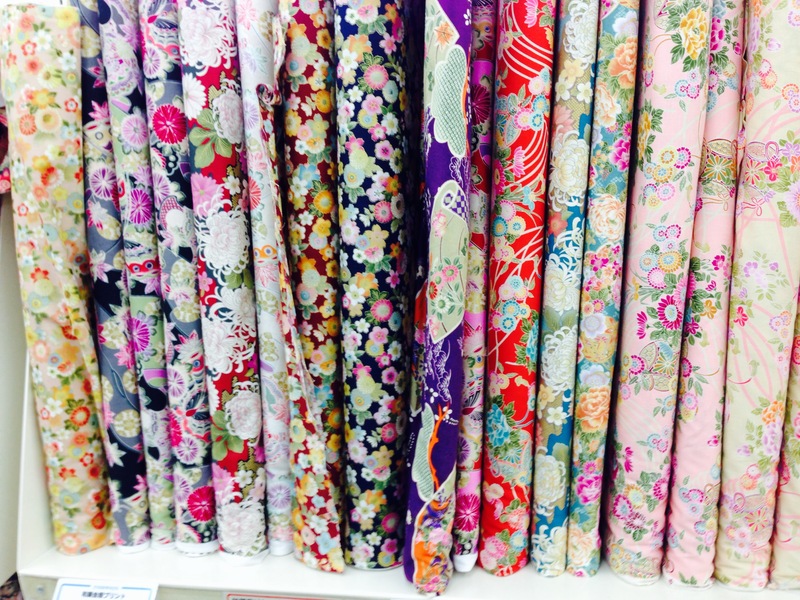 Those are for KOMON kimono pattern designs. Those are Japanese taste of patterns. 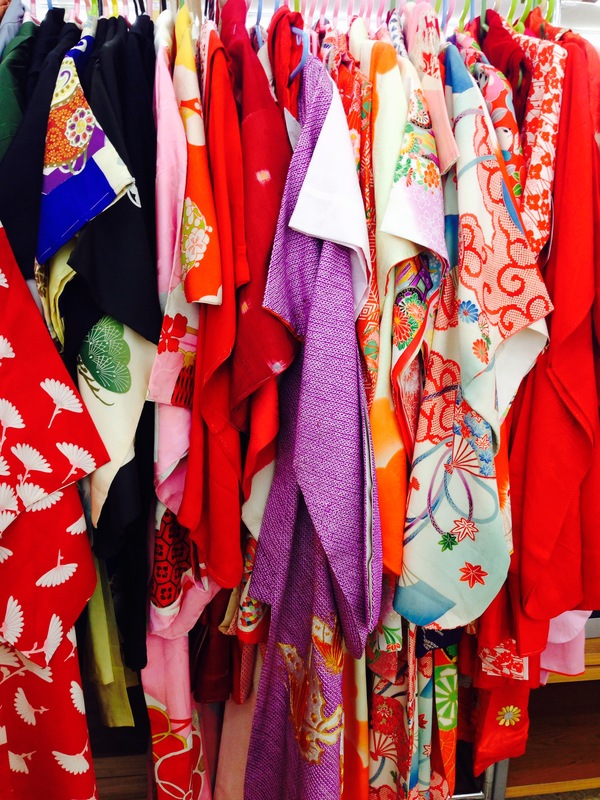 This is a photo of a secondhand kimono shop. Sometimes, you may find some good deals:) ! 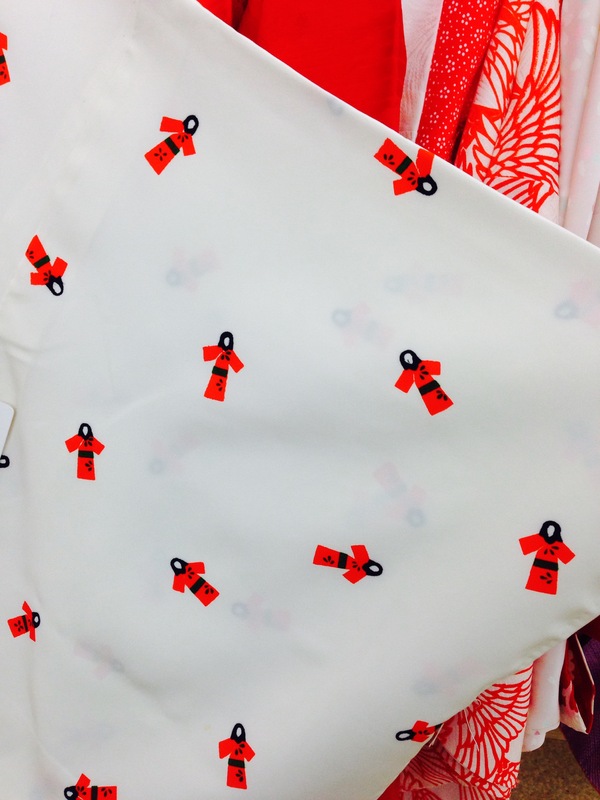 This is for kid’s kimono. I love this one. This is good condition and the price is very reasonable! 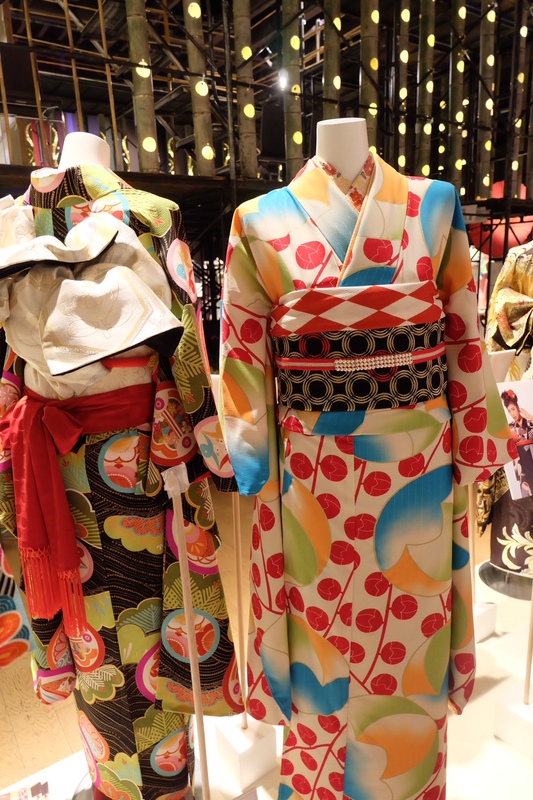 We organize kimono store visit around Tokyo area for you. Please feel free to contact us for more details. The service page will be prepared soon. Thank you for reading and Have a nice day!! 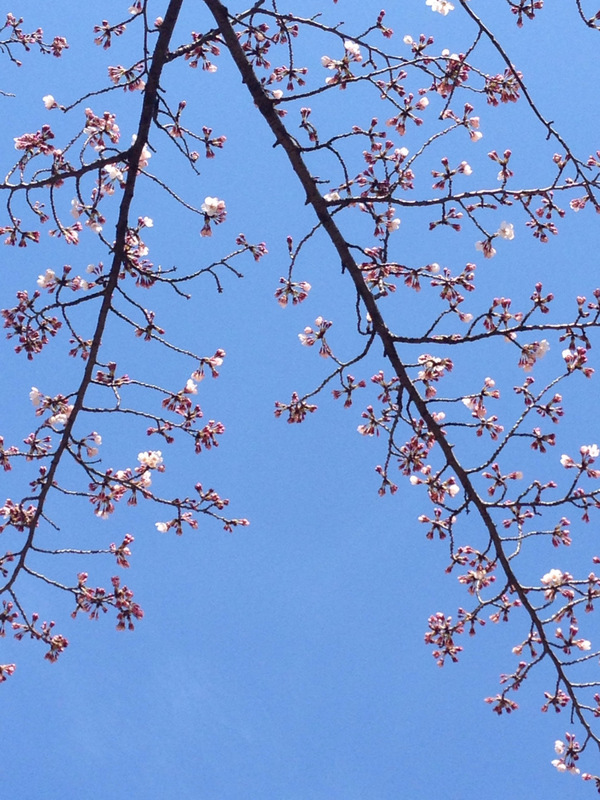 Have you seen cherry blossoms in Japan? The cherry trees are almost in full bloom. They were saying on the TV news that a Korean tourist take a day trip to view cherry blossoms in Japan! This season may the happiest time for everyone. 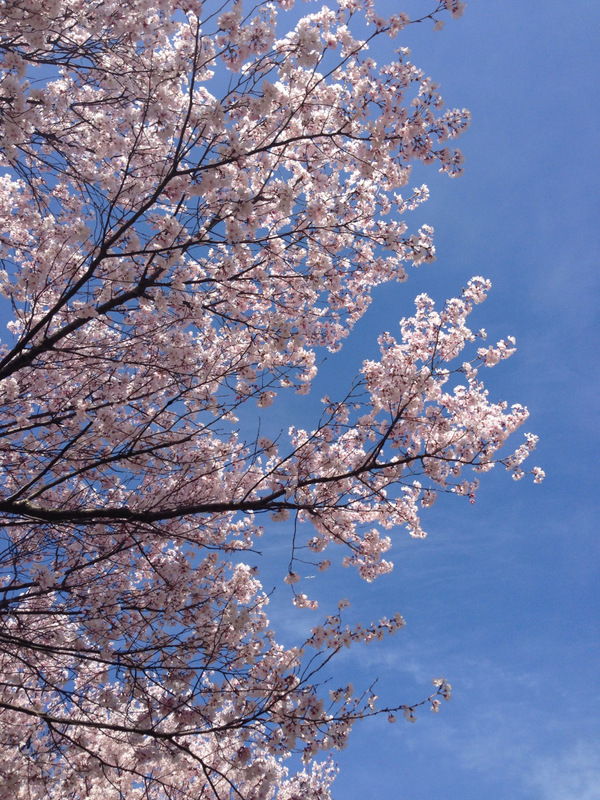 Once cherry blossoms are in full bloom, they usually only last for about a week before all the petals fall to the ground. In March & April is the season of graduation and starting new year in Japan, therefore, cherry blossoms are the symbol of new year. You have chance to see Yaezakura around this weekend, and I will go to see them again! 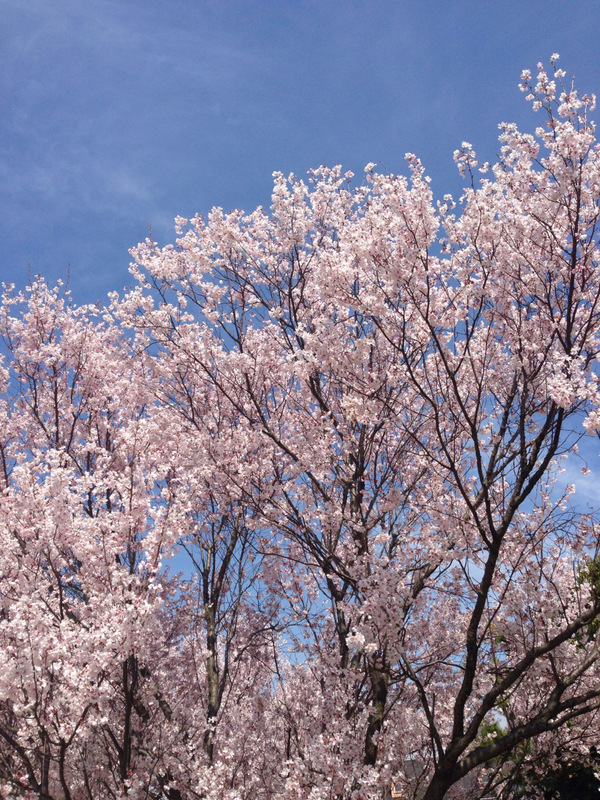 If you have a chance to visit Japan, don’t miss this ohanami season XD!